Real estate crowdfunding continues to grow in popularity as an easier avenue to access real estate investments. Investors frequently ask about the tax consequences of investing through real estate crowdfunding platforms as the tax implications can be confusing and are very different than those of stocks, bonds, mutual funds or ETFs. To help investors more effectively evaluate real estate crowdfunding investment opportunities and their potential tax implications, AlphaFlow has released its inaugural eBook: Tax Implications Of Crowdfunding. 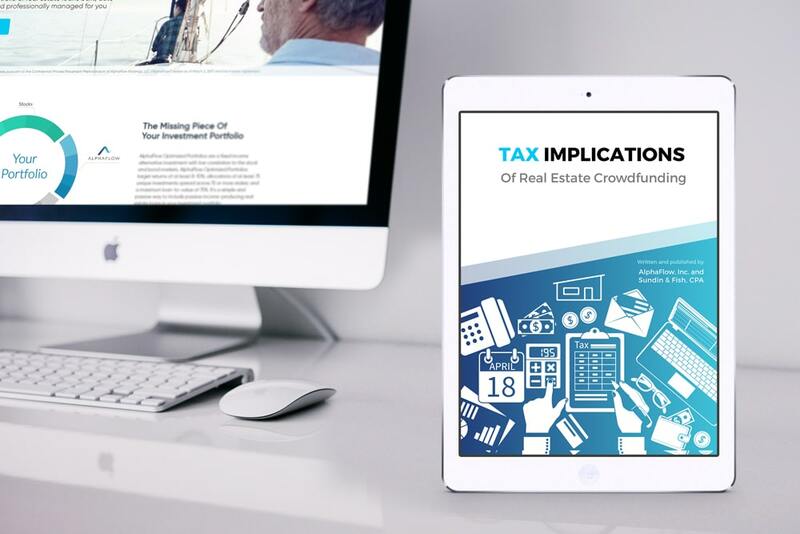 This 23-page eBook, written by AlphaFlow and Sundin & Fish, CPA, closely examines the top tax issues investors must consider as they invest across the real estate crowdfunding industry.